Senior Likud politician Yuval Steinitz says he 'didn't fall off his chair' reading WSJ spying revelations, plays down report's significance. An Israeli minister and close ally of Prime Minister Binyamin Netanyahu sought Wednesday to play down revelations the United States spied on the premier's private communications. 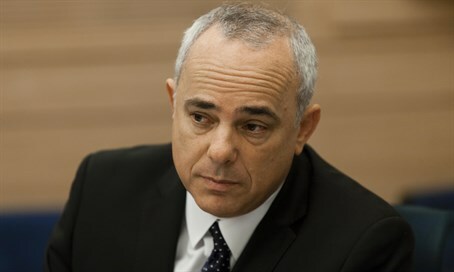 "I didn't fall off my chair from The Wall Street Journal report," Yuval Steinitz, minister of energy and a former intelligence minister, said on public radio. The WSJ revealed Tuesday that the US National Security Agency monitored Netanyahu's conversations as he campaigned against the nuclear deal with Iran that was eventually agreed in July. In March, Israel denied reports in the newspaper that its security forces spied on the negotiations between Tehran and major powers. "Israel does not spy on or in the United States; we adhere to that rule, and one could expect others to do the same," said Steinitz, who was in charge of the Iranian file while intelligence minister between 2013 and 2015. "But we are not naive. We know that countries - even friendly ones - try to collect intelligence on us, and we conduct ourselves accordingly," he said. He reaffirmed the friendship between Israel and the United States, "our greatest and most important friend", and stressed the two countries' "excellent cooperation" on intelligence matters. "I don't think it caused us damage," he said of the WSJ report. Other Likud ministers, however, were far more critical of the US government's conduct. "If the information that was published is shown to be true, Israel should submit an official protest to the American administration, and demand that it stop all activity of this sort," Transportation and Intelligence Minister Yisrael Katz stated Wednesday morning. For its part, the White House has not denied the Tuesday report but emphasized the depth of its relationship with Israel.